Product #1132 | SKU 2-054-0004 | 0.0 (no ratings yet) Thanks for your rating! The Redrock 1.5" MicroArm is an articulating arm designed to precisely position accessories, via its large locking ergonomic knob, onto your camera setup. The black anodised arm has 1/4" 20 male screws on each end. 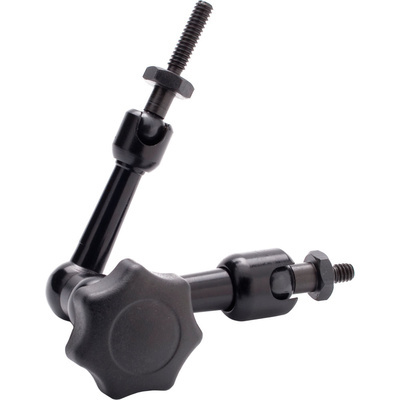 The arm measures 1.5"(3.81 cm) in length folded and 3"(7.62 cm) extended.